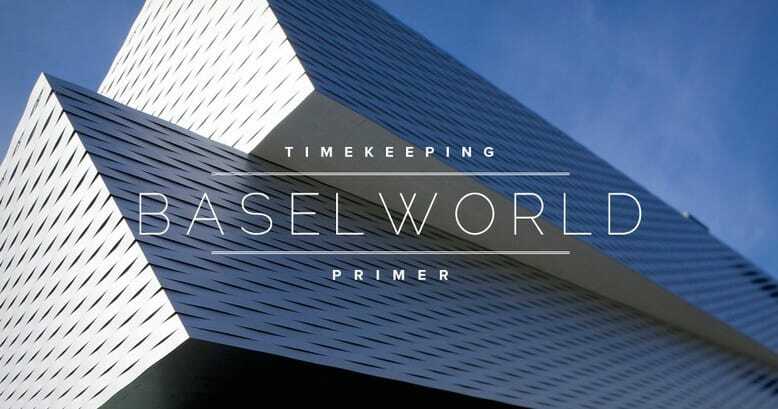 Baselworld 2015 has come and gone, leaving behind a content onslaught of photos, videos and articles from all over the news and blogosphere. This show is heralded as the global trendsetting event for the watch and jewelry industry and it couldn’t be bigger business for the brands and media involved. I took a look at some of the most important numbers involved with this year’s event, and what I found out was nothing short of remarkable, showing very little slow down in the lust for fine watches and jewelry. This year’s event meant business, and with a 7.5% increase in media attendance this year, it begets brands access to a prodigious amount of press. For those that launched a new product during Baselworld 2015, the opportunity for global exposure cost little more than the price of a booth and launch event. Taking the Patek Philippe Split-Seconds Chronograph ref. 5370 as an example, it was covered on more than 1,300 news websites and blogs related to luxury and watches. While the watch was one of the most talked-about items to launch during Baselworld, it’s a prime example of this event being a must even for a company as recognized as Patek Philippe. While it has only been a short time since the show has ended, I do expect content from the show to keep coming out for another month at least, pushing the numbers up and up. Including content pieces from news publications, blogs, social media updates and forums, there is a 27% increase in content indexed in Google compared to last year’s event. Keep in mind this is data gathered only in English for a very international event, meaning there are countless non-English pieces to consider as well. Not only is Baselworld big business for the major watch and jewelry brands, but for the transportation and hospitality companies as well. Hotels book out completely more than six months before the show starts, which has caused a spike in room rentals in people’s homes to the point where those were completely booked out as well. Jet charter companies also had trouble keeping up with the demand, as well over 5,000 attendees will arrive on a charter. With this year’s attendance numbers at around 150,000 and counting, we can only expect next year to be even bigger! Baselworld has become a must-attend event for serious brands in the jewelry and watch space, so if you’re thinking about applying for your business in 2016 you’d better do it now. This show is expected to be even bigger next year, which means the sooner you act, the better your chances of getting the space you want will be. I look forward to seeing what comes out of next year’s show, and of seeing how the numbers improve so make sure to check back next year right here on Luxury Branded.